Your monitor is the window to your entire computing experience. More premium displays usually cost a pretty penny, but today’s a great day to upgrade your monitor on the cheap. Newegg’s gone wild with a “Coupon Frenzy” sale, and Staples is selling a 28-inch 4K monitor from Dell for more than half off. 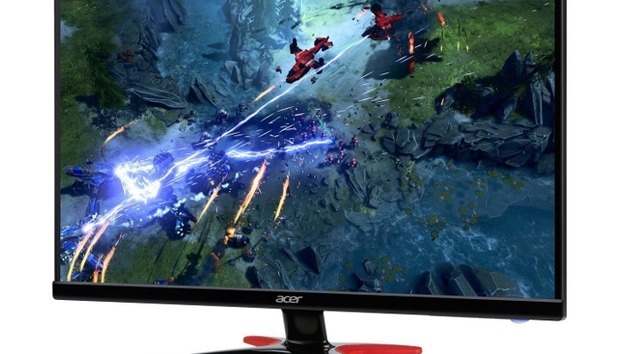 First up, is an Acer 27-inch 1080p monitor with FreeSync for $162 with coupon code EMCPVEU23. The Acer GF276 has a 1 millisecond response time, and a 75Hz refresh rate. There are built-in two-watt speakers if you need audio in a pinch, too. Our second contestant is the 24-inch LG 24UD58-B 4K FreeSync monitor for $252 with coupon code EMCPVEU23, down from a MSRP of $350. It has a 5ms response time and a 60Hz refresh rate, as well as a bunch of extras like a gaming mode and LG’s Screen Split 2.0 feature with 14 options. Newegg’s final monitor is the 29-inch LG 29UM69G-B 2560-by-1080 ultrawide FreeSync monitor for $198 with coupon code EMCPVEU23, just over $100 off its $300 sticker price. It has a 5ms response time and a 75Hz refresh rate. This LG monitor also has a game mode, black stabilizer, and the same Screen Split 2.0 as the earlier monitor. Finally, Staples has the 28-inch Dell S2817Q 4K monitor for $235 with checkout code 62817, more than 50 percent off the display’s $500 MSRP. This monitor doesn’t have FreeSync like the others, but it does have that wonderful 3840-by-2160 resolution. It also has a 2ms response time and a 60Hz refresh rate.